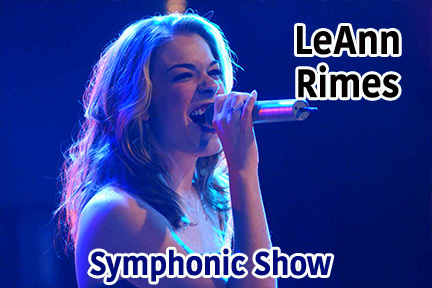 In 1996, LeAnn Rimes burst out of nowhere with her debut single “Blue,” which immediately captured the attention of country fans across America. It wasn’t just the fact that her rich, powerful vocals were remarkably similar to Patsy Cline’s — it was the fact that Rimes was only 13 years old. Like Tanya Tucker and Brenda Lee before her, she had a hit with her debut single and was barely a teenager at the time. It was quite an auspicious way to begin a career. Born in Jackson, Mississippi, but raised in Garland, Texas, Rimes (born August 28, 1982) began singing as a child, performing at local talent contests. At the age of 11, she released her first album on an independent label called Nor Va Jak. That same year, Bill Mack, a Dallas disc jockey and record promoter, met Rimes and, impressed by her talents, he took her under his wing and began cultivating a plan to break her into the mainstream. The cornerstone of Mack’s plan was a song called “Blue,” which he had written in the ’60s. Mack claimed that he had written the tune for Cline, but she had died before she was able to record the song. Throughout 1995, Rimes’ career continued to gain momentum, as she performed more than 100 concerts and appeared on television shows across Texas. After Mack arranged a recording contract for Rimes with Curb Records, the label sent out a press release with the single of “Blue” that claimed the DJ had been waiting over 30 years to find the right vocalist to sing it. The story was an exaggeration: “Blue” had been recorded by no less than three different artists, including Bill Mack and Kenny Roberts, who both released versions on Starday in the ’60s, and in 1993, Kathryn Pitt released the record as a single in her native Australia. Nevertheless, the story was repeated throughout the country and mainstream music press, adding to the growing myth that Rimes was the successor to Cline’s tradition. “Blue” and its accompanying album of the same name became major hits in the summer of 1996.